Learning a language is about more than understanding your conversation partner. Ever since our founding in 1963, we have believed that language connects, inspires and unites. Language Institute Regina Coeli offers top-notch language courses to a vast range of international clients. The foundation of our training method was laid by the nuns of Regina Coeli, the Sisters of the Holy Order of Saint Augustine—better known as the ‘the Nuns of Vught’. Our trainers are exclusively native speakers who are driven by their shared passion for teaching others their native language and their quest for nothing short of excellence. Moreover, they understand like no other the cultural context you operate in. They are uniquely suited to helping you become more self-assured in, satisfied with and unhindered in your international communication. We know through experience that people learn best when they are involved, inspired, undisturbed and given personal attention, and when the learning tempo is varied . At our institute, nestled in the quiet, wooded town of Vught , we give you the space to fully focus on developing your language skills, personal effectiveness and authenticity. Our institute is welcoming, well-organised and tranquil: everything has been designed to help you achieve a state of flow. 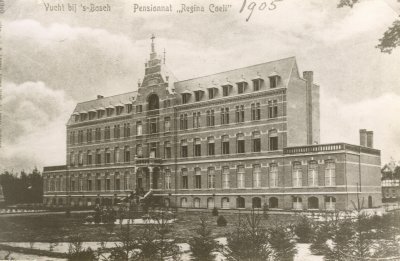 Language Institute Regina Coeli was founded by the Sisters of the Holy Order of St. Augustine in Vught. They were part of an international education congregation. It goes without saying that they were open to other cultures and languages. With great conviction they set to helping people learn new languages, thereby laying the foundation for the Regina Coeli Method. 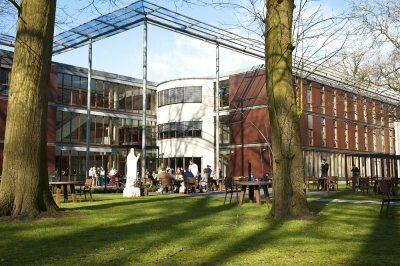 Your language course takes place at our institute on the edge of the municipality of Vught, located in the southern Dutch province of Noord-Brabant. The tranquil surroundings found here allow you to shut yourself off from the world and fully concentrate on learning the language. Guestwing Eikenheuvel is situated in one of the wings of our institute at Martinilaan 12 in Vught. By staying at Regina Coeli, you greatly improve the outcome of your training because you can better concentrate on learning the language and can practice with your fellow course members.